I made the trip with the family to Disney World not long ago, this being our third trip we had the journey down, but this time would be a bit different. This time we would be using the popular Disney Magic Bands. With several articles talking about how “Frictionless” the Magic bands made Disney, I decided to pay close attention to the whole Disney experience and document how frictionless it really all is. My wonderful wife is a planning master so she did most of the planning and setting up reservations for the trip. She completed most of the planning using mostly the web on her MacBook, then she moved to the Disney Experience iPhone app. The big time-consuming process was reservations is was a bit challenging and tedious, planning 8 days of lunches and dinners for 5, but in the end, it was well worth it. The next step was planning our Fastpass+ selections. If any of you have visited Disney you know this is a key part of planning. 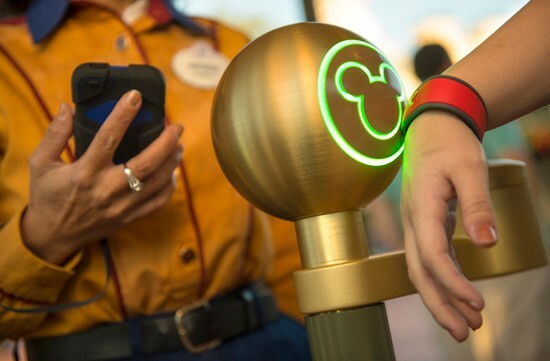 The Fastpass+ is a way to skip the line for attractions, giving you a certain time window to enter the attraction. The interesting thing is you can select 3 fast passes per day. Once one is used you can add more during the day if they have availability. The Disney Experience app was sometimes frustrating as it selected 3 for you and then you could modify them based on the availability, it was challenging to pick which ones based on the certain time windows. We completed a lot of our trip using the web or the Disney Experience app but we did have to call customer service to connect our flight itinerary to the reservation. It was quick and pretty painless. Although it begs the question that there could be some interesting opportunities to leverage integration right into the airline’s apps, in our case Delta. This is another example of a touch point that could be a bit more frictionless instead of the guest doing some sort of activity. This was an exciting experience for the kids and us parents. Some have referred to this as almost Christmas Day. The packaging and walkthrough is great, Disney is known for this type of emotional experience during the guest journey. The first step was to sync the bands with the reservation number in the app. This was more of a manual process entering a series of reservation numbers in the app. In the future, I could see these being a bit more frictionless and automatically connect to a smartphone adding a bit more magic to the process. Overall the bands do feel special and personalized, you can select colors and other accessories and the name is printed on the inside, this personalization is the key to this type of wearable experience. We landed in Orlando and followed the Airport wayfinding to the Magic Bus. We opted to tag our bags using the Disney room delivery luggage service. The wayfinding experiences was a bit lackluster in the Orlando airport. With the huge interest in AR, beacons for airports and maybe leveraging the NFC in the bands and the smartphone app, you would think the Orlando airport and Disney could create a much more elegant Disney style wayfinding experience. 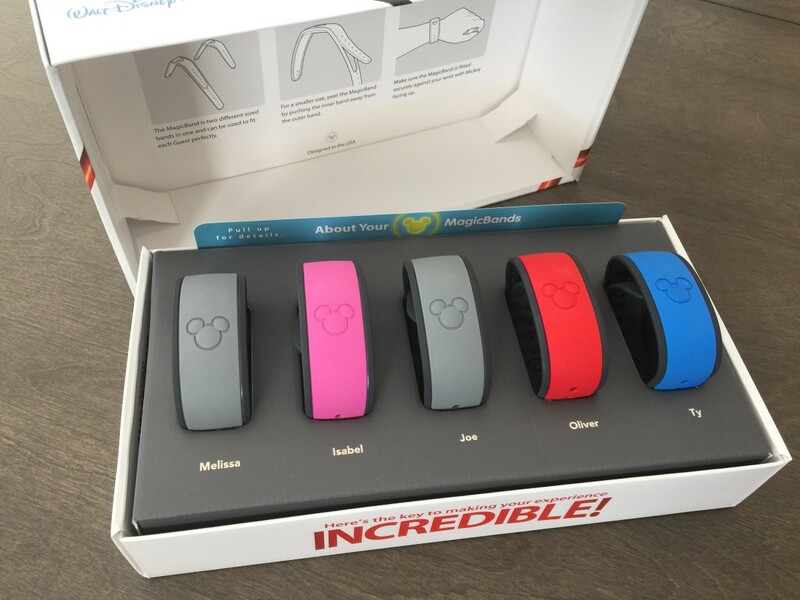 Although this is the big challenge integrating something like the magic bands beyond the Disney walled garden. The waiting in line begins. This was the first time scanning the bands to get on the Magical Express. We opted for the luggage delivery to the room, super convenient but you do have to wait, make sure to pack what you need in your carryons. We headed straight to the pool and enjoyed the sun and warm weather. We did have to check in on the room a few times to see if our luggage was there, not knowing exactly when it would arrive. We did end up calling to check to see when it may arrive. Maybe if there was a way to notify you in the app when your luggage is in your room? Or at least see where it was in transit. Using the Magic Bands were great for hotel keys, dinner plans, and payment. It does get a little slow at ride terminals and gate entrances. For example, after the security bag check line, the park entrance lines were a bit slow using the bands. The Mickey pedestals are a great nice piece but the time it takes to scan and do the fingerprint verification was a bit slow for the line speeds. I did notice that some of the gate attendees were carrying iPads with them and had what I assume to be a management app to see details on the guest as they checked in. My daughter received several of the “blue rings of death”, a visual that indicated a check-in error, and they would check the iPad, tap a button, make her scan again and all would be good. There was a young man in front of us that had some issues with his band. Apparently, he had a band of someone else, they said he scanned in as “Amy” which obviously he wasn’t Amy. So they do have some checks and balances in place to verify guest as they enter. Having the Disney Experience App while in the parks is great, being able to see wait times for rides and seeing reservations was instrumental. Wait times in the app are good info and insights and were surprisingly pretty accurate. Although, the fast pass integration was was a bit buried to find and hard to change. We did run a bit late for some of our dinner reservations which made me wish you could let restaurants know if we were running late. The restaurant check-in process was a bit chaotic at times when it was busy. Adding an auto check-in based on geolocation or even having a magic band scan in outside could help auto notify the restaurant that you are there ready to be seated. While at the parks I noticed a ton of Apple watches. Maybe a future integration with them, I’m sure it’s in the works. I could see several use cases for AR in the app to help with wayfinding and even find other family members in the park. Could be a really interesting use for showing ride times in AR as well. 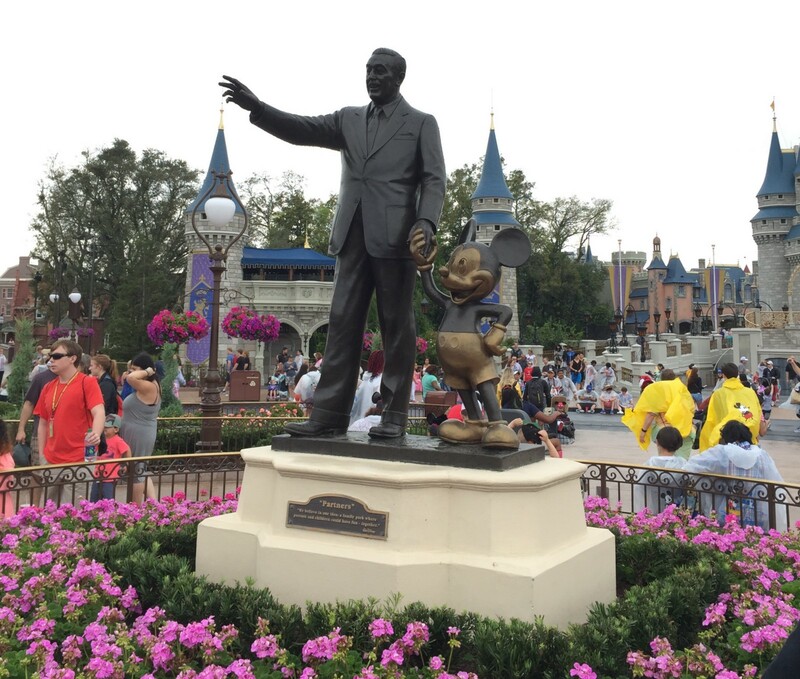 I am sure they have plenty of ideas for location based AR within the parks to enhance the Disney magic. Love the time update boards for the buses! Next stop put them in the app! This one was touted as being as frictionless as possible but points to more self-service. Here’s what I saw. 2. Order on the kiosk. 3. Sit at any table. 4. They deliver food using a dinner cart with an iPhone built into the cart. So it really felt more self-service then anything else. One of the deeper frictionless experiences at Disney World was one of the newest rides at Magic Kingdom. The 7 Dwarfs Mine Ride, a fantastic ride chock-full of technology. From the new rear projection animatronic puppets within the ride to the sensors automatically tracking where you sit. This was the only ride where the slow motion video and picture automatically showed up in the Disney app with zero interaction from a guest. Albeit a small part, it really did feel frictionless and I could really start to see what could be. Which is extremely exciting. The frictionless future is exciting. Overall some great frictionless experiences, some not so frictionless. I think where at the tipping point and in the transition phase, older rides getting updated, new rides already have it. You can see what could be, which is exciting not just for the Disney parks but for all industries. The UX of Ambient-driven Experiences.